Pumpkie Pumpkin and Pumpkina Pumpkin Wish You A Happy Halloween! Use Us As a Decoration! Check us out in the new coloring game. 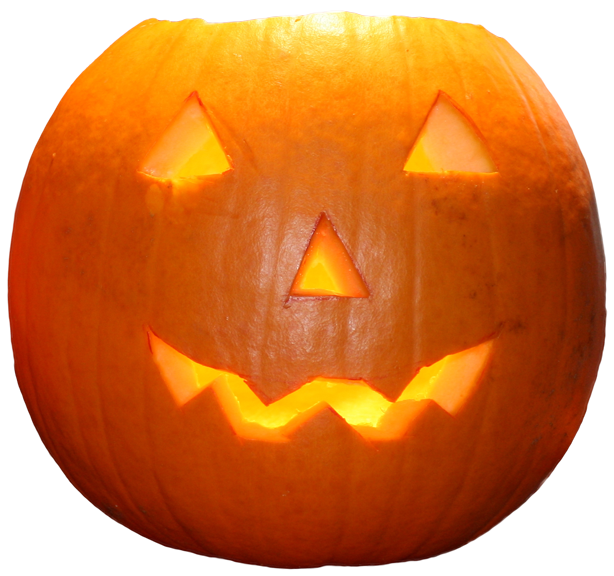 Just click on the Club House and then on games, then click on the Halloween game! I didn’t feel afraid because I’d cut him out myself! October 24th is UN Day. This craft was created by The FreeKidsCraft Team, http://www.freekidscrafts.com/ to encourage all of us every day to reach out to our neighbors around the world and here at home. 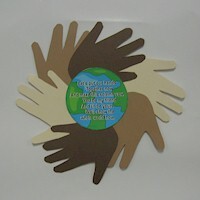 Construction paper: White, light tan, brown, dark brown. Trace around hands on construction paper and cut out. Click on printables and print and cut out Globe Poem on white construction paper. Put down a piece of construction paper to act as the base for the piece and glue hands in a circle using the above picture as a guide. Glue Globe Poem on top of hands. Note: This project was created by Terri, Betty, Jamie or one of the talented staff members at MakingFriends.com. It was created exclusively for publication on FreeKidsCrafts.com with supplies found around the house. 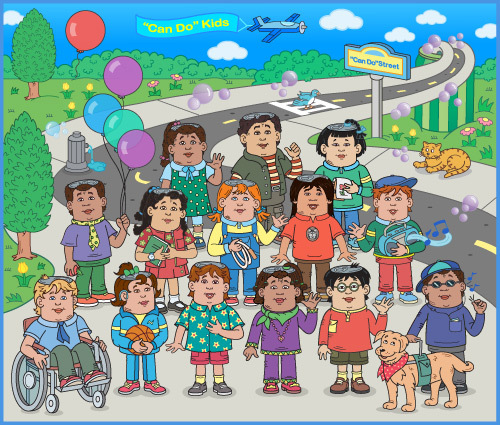 Can You Name The “Can Do”Kids? Can you name the “Can Do” Kids? Who is best at ping pong? Who is the best at jumping rope? Who plays a great game of basketball? Does the dog have a job? Does the cat have a name?